Description: Stem 17–100 (generally < 60) cm; base often narrower than root, but firmly attached to root, smooth to minutely hairy. Inflorescence: flowers 6–75; individual flower stalks 3–48 mm, 3–25 mm apart, smooth to minutely hairy. 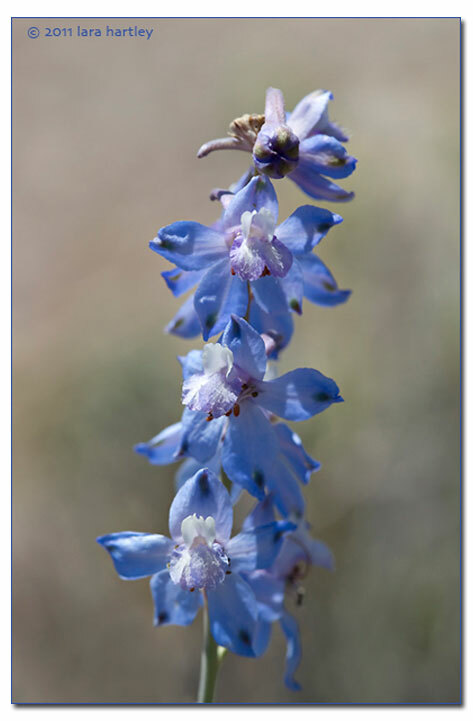 Flower: dark blue (in the southern Mojave and around Joshua Tree National park) or sky blue (in the northern Mojave) to white or pink, spur 8–14 mm; lower petal blades 3–6 mm. Leaf: Mostly basal or mostly growing on a stem especially on the upper part while in flower; smooth to minutely hairy; lobes 3–20, generally < 6 mm at widest. Basal leaves usually wither by the time the flower blooms. Stem leaves have up to 20 lobes that are less than 1/4" at the widest point. Habitat: Desert scrub, with scattered trees or not. Notes: Photographed May 15, 2010 Titus Canyon Road, Death Valley. One of the more lovely and distinctive flowers in the desert. Most larkspurs are highly TOXIC, attractive to livestock and cause many deaths to cattle, less often to horses, sheep. A dicot, is a perennial herb that is native to California and is also found outside of California, but is confined to western North America. Distribution outside California: to sw Utah, Arizona, n Baja California. 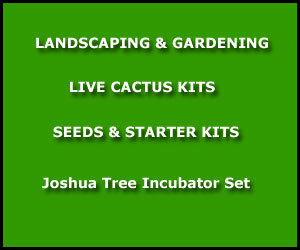 Horticultural information: Successful in cultivation only within natural range and habitat. Lowland subsp. : DRY. Upland species: winter chilling required.